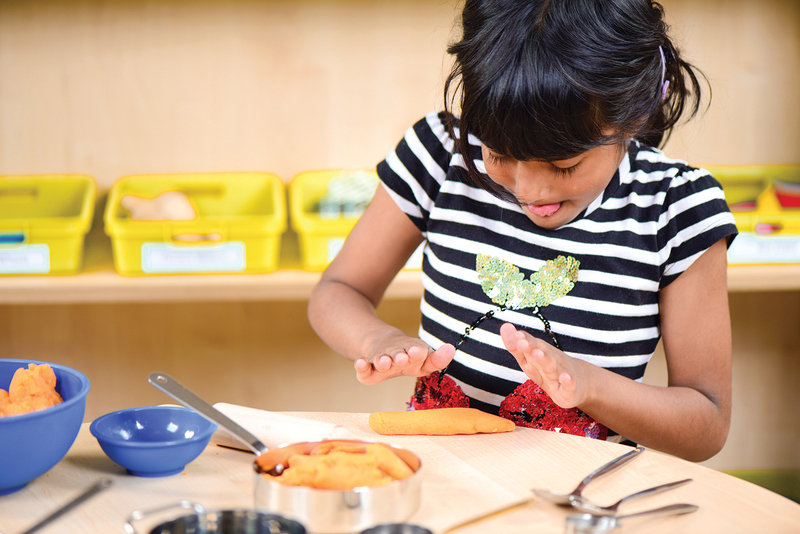 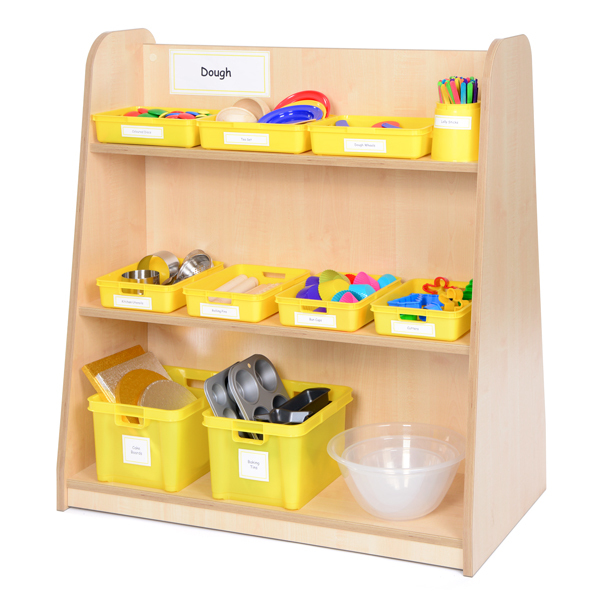 Specifically designed to store our Dough Resource Collection 3-4yrs, this dough storage pack 3-4yrs features a range of sizes suitable to store each of our resources. 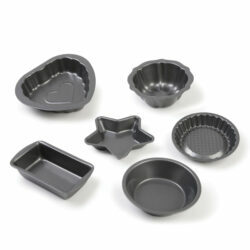 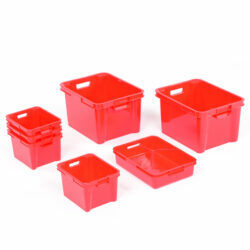 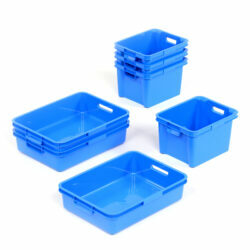 The A5 trays have been selected to store the small resources such as dough cutters, muffin cases and dough wheels and the 7.5L boxes for storing the larger, bulkier resources such as the baking trays, muffin tins and cake boards. 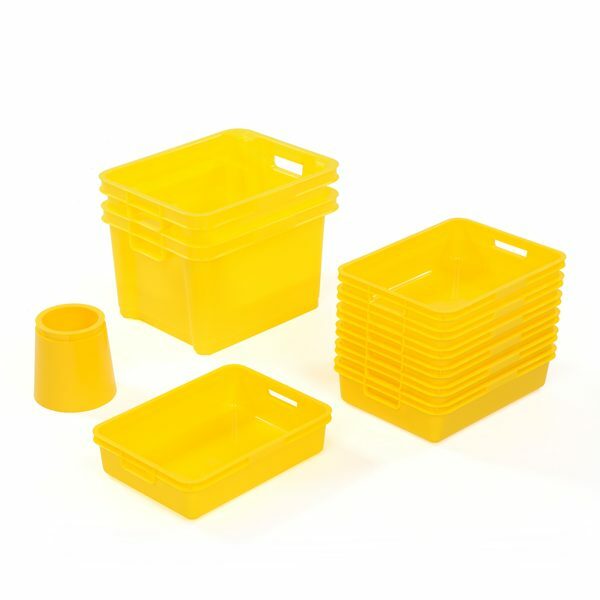 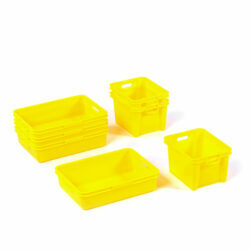 These yellow storage boxes fit perfectly on our mid-level shelving unit with two 7.5L boxes fitting snug on the bottom shelf, four A5 trays on the middle shelf and three A5 trays and one tall pot on the top shelf.